Keen to put some savings away but want access to it in a matter of weeks? Read on to see whether a notice saver account is for you. Several New Zealand banks are offering savers something a little different than term deposits. A compromise, if you will, between locking away money out of reach and having it too easily accessible for a spur of the moment shopping spree. Let’s take a look at one of the options for saving money: notice saver accounts. Limited Access Savings Accounts: What are Notice Saver Accounts? Notice saver accounts are similar to term deposits, but with a twist. How it works is that you lock your money away for a term, as you would with a term deposit. It is one of the more flexible options for saving money, when you compare it to, say, a traditional term deposit. You get access to you money not at the end of the term, but by giving a certain period notice –which is usually 30 or 90 days. If you don’t give notice, the money stays invested earning the notice saver interest rate. An advantage of using notice saver accounts as one of the options for saving money is that you’re not faced with having to make investment decisions at the end of the term. You can add to your notice saver account whenever you want. That means that instead of waiting until you have a decent sum of cash to invest in a term deposit, you top your notice saver investment up every time you have small sums of spare cash. This helps with cash management. Some notice saver accounts are Pies. That means you get an even better interest rate than for a standard term deposit. You can, of course, get Pie term deposits. It saves a huge amount of paperwork needed every time you set up a term deposit. Your money is out of reach, as it would be with a term deposit and you can’t spend it. It’s a bridge between a fully locked term deposit and an on-call account. There is a downside to the easy-going feel of limited access accounts in terms of options for saving money; It’s easy to become complacent and forget to check whether your rate is competitive. The interest rate can change. Notice saver interest rates can go up or down whenever the bank chooses, whereas term deposit rates are fixed. If there is a major shift in interest rates this will affect you pretty soon. You may end up leaving your money in for a number of years and it would have been better to take a higher interest rate term deposit for a longer fixed period. This of course can affect you if you’re investing in term deposits. If you continually roll your shorter term deposits over for five years and don’t need the interest payments, then you might have been better off with a longer term. 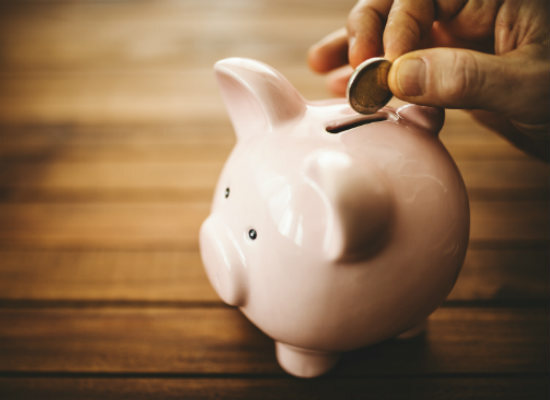 Westpac is one of the Notice Saver Accounts providers and they discuss how using this as one of your options to save money might help take away the temptation of dipping into savings, while also allowing you access to your funds, with notice, should you need it. Canstar expects to see more notice saver accounts on offer in New Zealand: so watch this space.